Relocation Services - Today every now and then individuals, families and industries are relocating to different places. 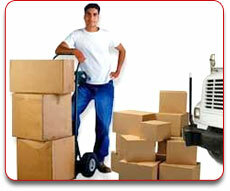 Relocation involves hectic schedule of packing and moving goods both within a country and outside it. Relocation also involves lot of paper works like custom clearance, insurance, visa clearance etc. Relocation companies offer host of expert services for complete settling down, taking care of all moving matters thereby saving enough time and hardships. Whether the move is local, long distance or international, they acquire all the expertise to handle simple to most demanding relocation moves thereby taking off all the burden of moving.